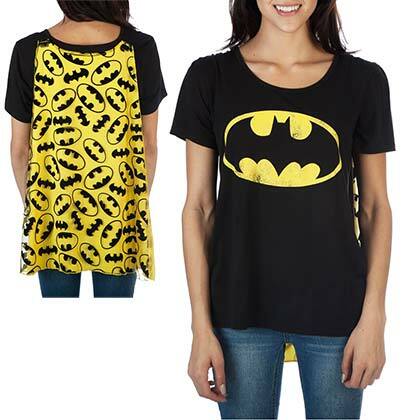 Officially licensed women's Batman cape costume tee shirt. 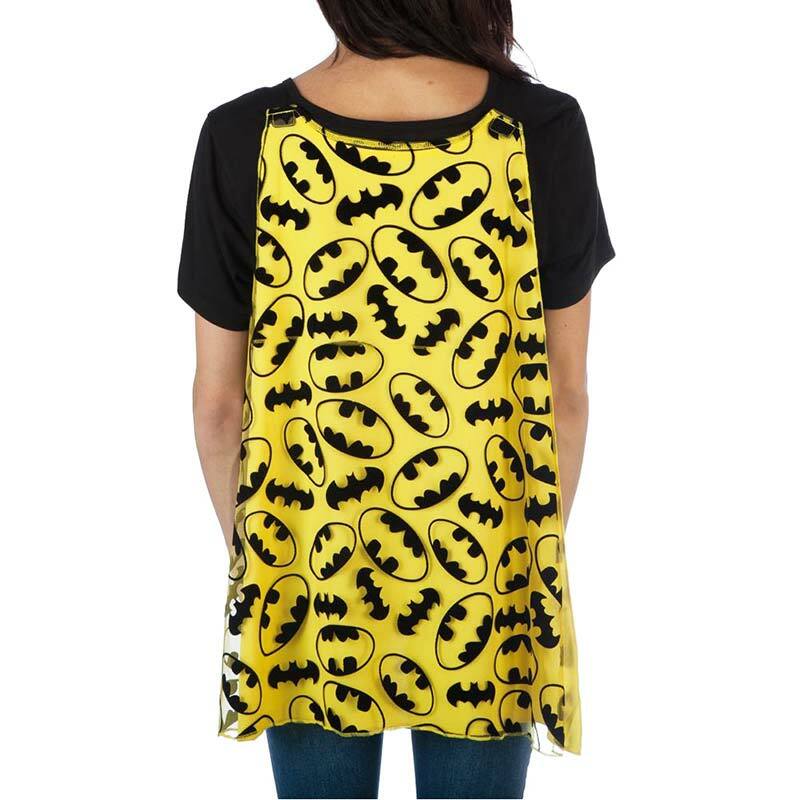 Comes in black with the "Batman" logo on the front and includes a removable yellow cape and a web/lace cape. 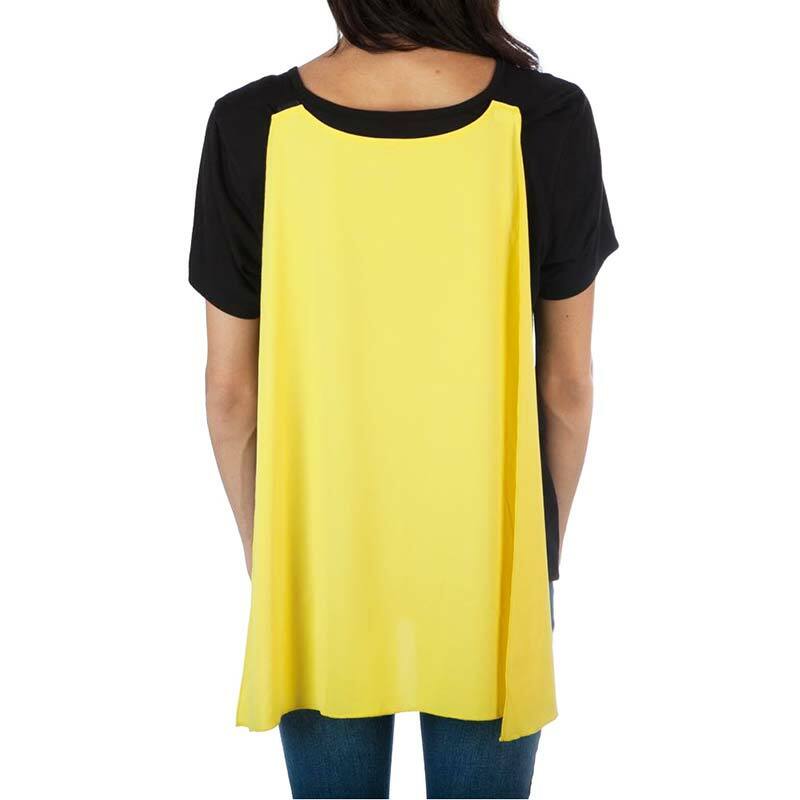 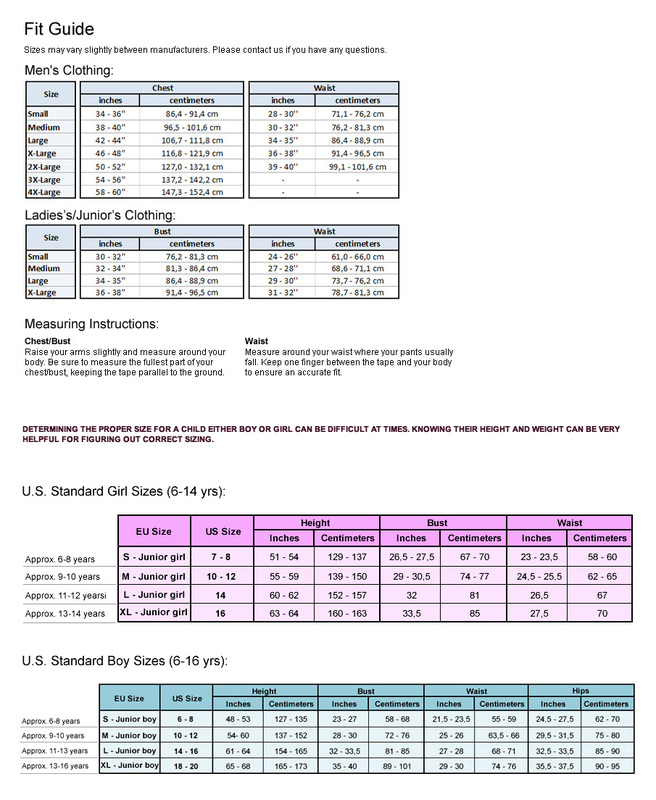 Made from a polyester/rayon blend.